Black and white 4″ X 5″ time exposures. 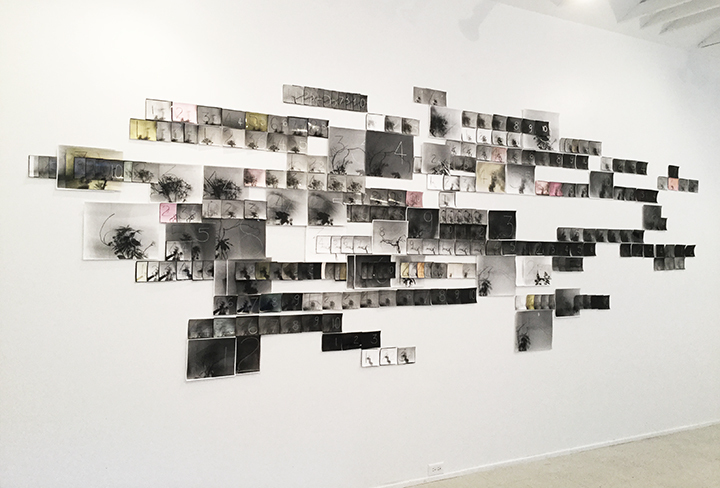 Contact prints on fiber , some enlarged to 8” X 10″ and 16″ X 20″, mounted directly on the wall. 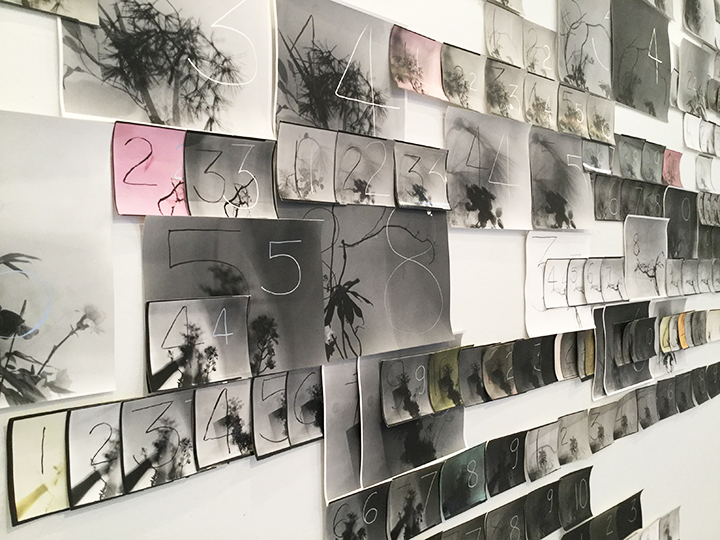 Some of the photographs were dyed and tinted after printing. 9′ high by 16′ wide. 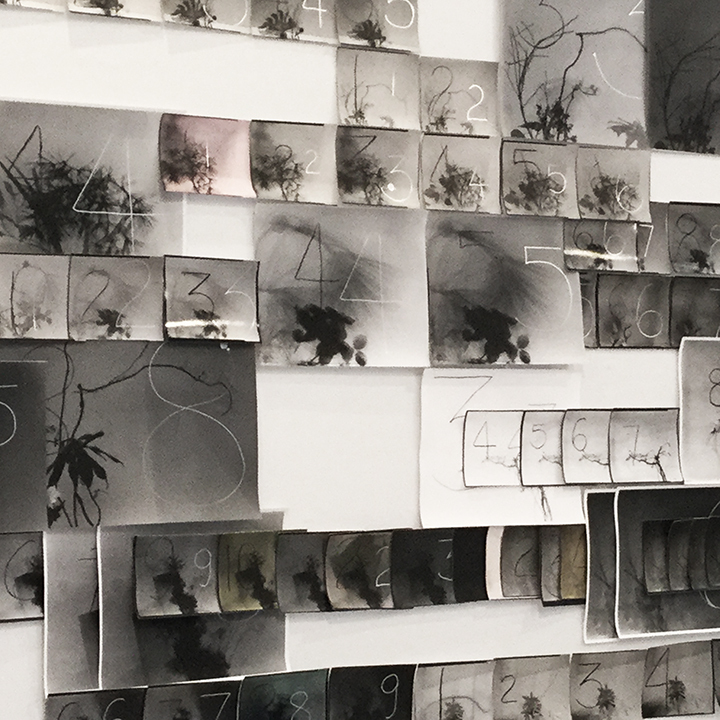 The photographs were inspired by the meditative act of collecting plant material for the purpose of creating arrangements. Negatives were printed in various tonal ranges which were then hand-numbered. 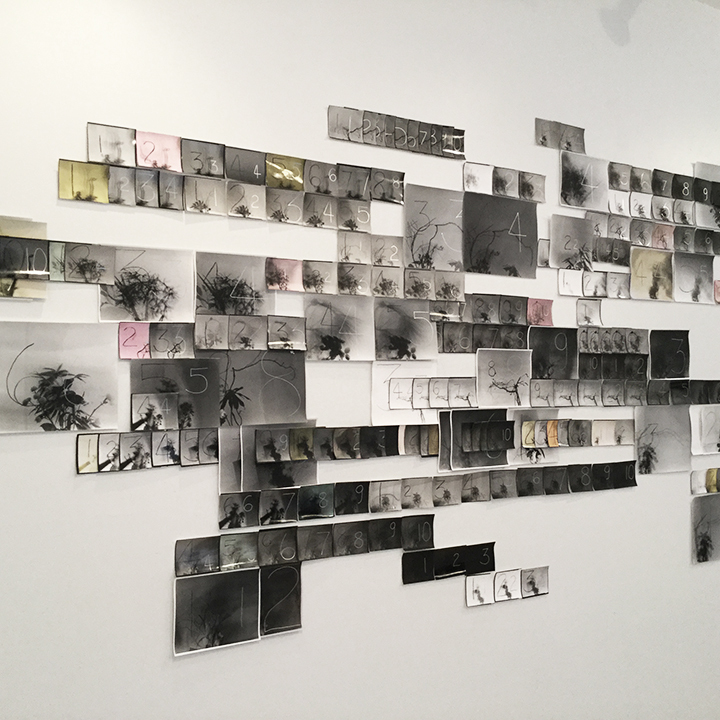 For this work I was interesting in paralleling the meditative act of collecting plant material to darkroom practice.